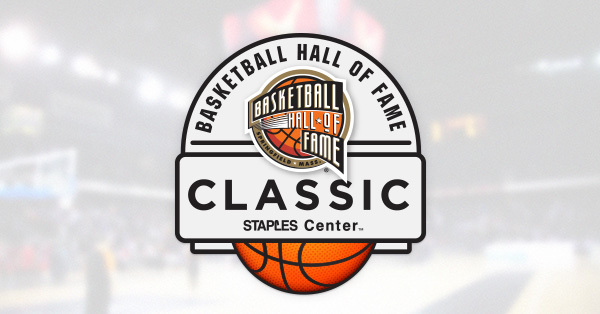 The Basketball Hall of Fame Classic will take place in Los Angeles on December 7th. Get Basketball Hall of Fame Classic tickets at Ticket Galaxy, and see all of the college basketball action live! Ticket Galaxy is the Official Fan to Fan Marketplace of the College Basketball Hall of Fame Classic. The Basketball Hall of Fame Classic will take place this year on December 7th at Staples Center in Los Angeles, California. The Naismith Memorial Basketball Hall of Fame hosts an annual one-day basketball event in conjunction with the Staples Center to bring some of the best college basketball teams together at one of the most well-known venues in the country. Learn more about the Hall of Fame Classic: LA by visiting the official website. Purchase your Hall of Fame Classic: LA tickets at Ticket Galaxy! Choose your event date and click "Find Tickets" to bring you to our array of seating options. Select your tickets on the maps page by clicking the price box. From there, TicketGalaxy.com will bring you to our checkout. Get your Hall of Fame Classic: LA tickets quickly and easily today! Ticket Galaxy is the Official Fan to Fan Marketplace of the Hall of Fame Classic: LA.